"The Virgin of Navigators" by Alejo Fernandez c. 1475-1545 depicts the divine right given by the Virgin Mary to the Spanish navigtors. source. 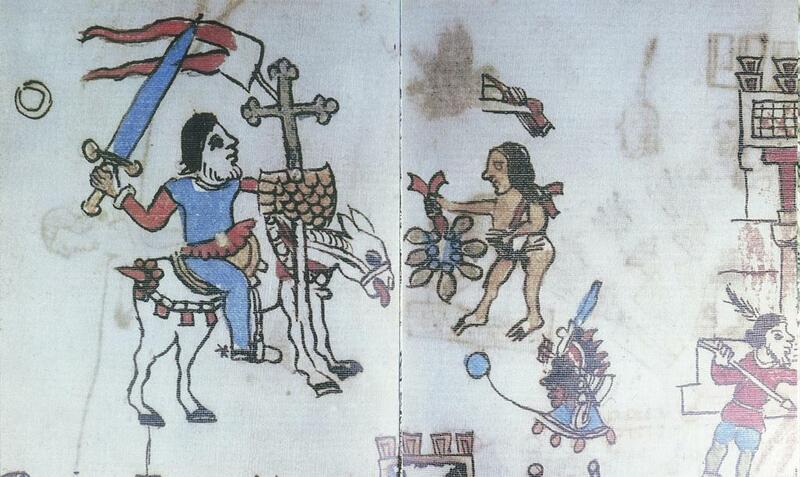 "Cortes Arriving in the New World" by an anonymous Aztec artist c. 1519-22. source. 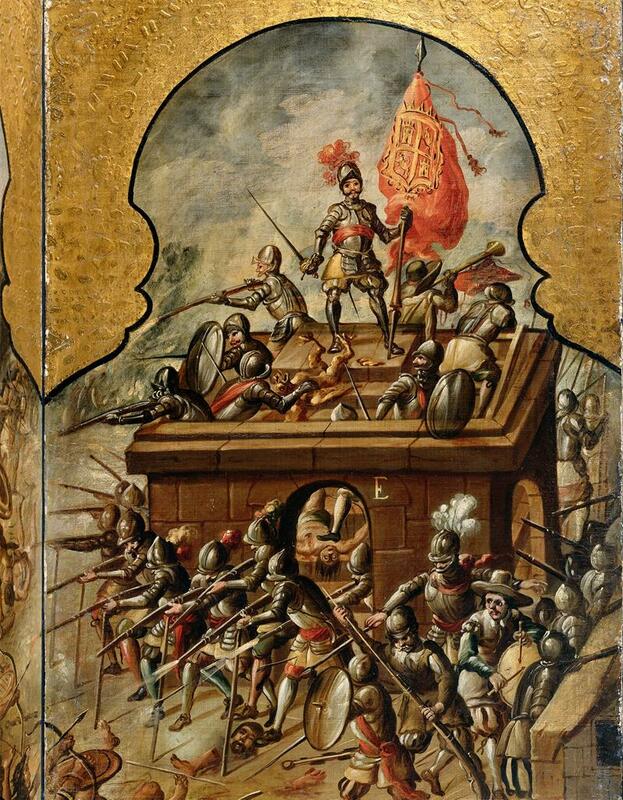 "Scenes of the Spanish Conquest" by an anonymous Mexican Painter c. 1520s. source. Laws intended to govern the interactions between colonizers and the new subjects were generally ignored in practice. 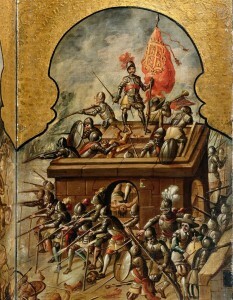 The 1521 siege of Tenochtitlan, with the slaughtering of the Aztec people in the temple following Cortez’s defeat of Montezuma, revealed the greed of the Spaniards that marched on the city. 10 Elegies on the Fall of the City is a collection by Aztec poets that attempts to convey the sorrow of the defeated and “the trauma of conquest.” 11 Of course, there was a doctrinal loophole that allowed for the brutality in Mexico– the people were engaged in pagan worship and expressed opposition to the Requerimiento of 1513. Drawn up by jurists and theologians in Valladolid, this document asserted that any any deaths resulting from the rejection of Christian evangelization were the fault of the local indigenous population. 12 The low opinion of the Indians held by the Spaniards meant that many were not given the adequate opportunity or instruction by which to choose Christianity. 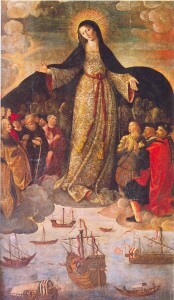 Evangelization and teaching of non-Christians by any and all Spaniards was an entirely new idea, since the Reconquest of centuries past was carried out more exclusively by the monarchy and its appointees. 13 Just as emphasis grew on the personal responsibility of individuals to participate in and share their faith in New Spain, so did the Iberian Peninsula religiously organize itself to provide for that aim.